So how will you know if a traditional water heater is the right option for you? These are still the most commonly used hot water heaters in Austin, and across the country. By working with a reputable industry expert, you can rest assured that you will get the best water heater services, products and advice around. This is why so many people count on our pros here at Moore & More Plumbing to get the job done. As the top choice for a local Austin plumber, you can feel good knowing we go above and beyond when it comes to the customer care we invest into each job. Now we look forward to working with you. So returning to the question of whether a conventional water heater is the right choice for you – that all depends on you. In most cases it simply is a matter of personal preference. Our job is simply to help you understand the options that you have, as well as the pros and cons for each kind. 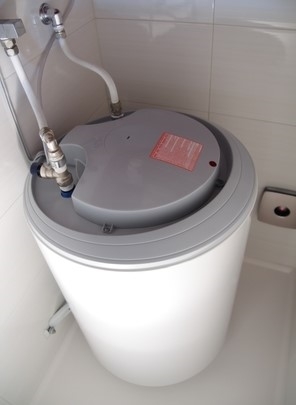 The main advantage of a traditional water heater is the upfront cost. In most cases, this option will have a lower initial investment making it the most cost-effective method. Also, the installation, repairs and replacement may also be less costly too. The traditional water heater is sort of the basic, functional system you can pick to ensure that you and your loved ones have hot water. This is essential, not just for comfort, but also for sanitation reasons. You can also shop for more energy efficient choices, compared to what you probably already have in your home. Keep in mind though that this is generally not the most energy efficient approach to having hot water in your home. So if you are trying to save money on your utility bills or want a more Eco-friendly household, traditional may not be best for you. We are a family owned and operated company which is a benefit for you. The reason is that we genuinely care about the well-being of our customers. We will take the time needed to provide you with the information and individual care to get the job done. Our focus is always on providing you with the best in service and results. The bottom line is that we treat you the way that we would want to be treated. Call now to get started. The last thing that you need is to get inferior service for your residential or commercial plumbing needs. 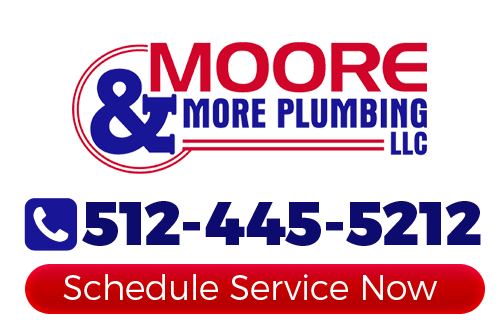 Let Moore & More Plumbing show you what a difference true quality makes when it comes to servicing water heaters in Austin. If you would like an estimate for traditional hot water heaters in Austin, please call 512-445-5212 or complete our online request form.